Norman, the chief anti-Walmart activist for 20 years, argues that Walmart is the perfect target for effecting change in the unfair global economy. Walmart, "the most ubiquitous symbol of what has gone awry in corporate America today," is in our neighborhoods. As the 99% become less tolerant of the 1% who make billions by exploiting workers, taxpayers, and shoppers, they long to bring back local citizen control to our hometowns. In such places as Athens, Georgia and Mira Loma, California, groups have begun actions against Walmart and its distribution centers. 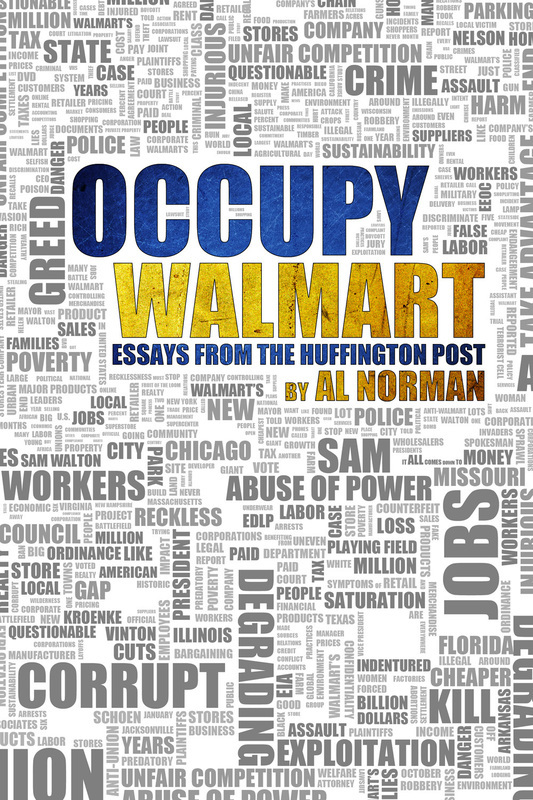 ​A grassroots activist who has helped countless groups organize efforts to fight the spread of Walmarts in their hometowns, Al Norman has been on 60 Minutes and quoted in publications from Fortune to the Wall Street Journal to the New York Times. He posts frequently on his blog, Sprawl-Busters.com, and continues to contribute essays to the Huffington Post. "​These essays create an uncomfortable 'film' about the greed, profiteering, and cheating that make up the Walmart business model." "Al Norman: Walmart's #1 enemy." "Norman is the guru of the anti-Walmart movement."